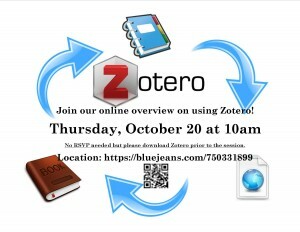 Fuller library is offering an online overview session on Zotero on Thursday, October 20 at 10am. The meeting will be presented through BlueJeans at this link or follow the QR code on the flyer. 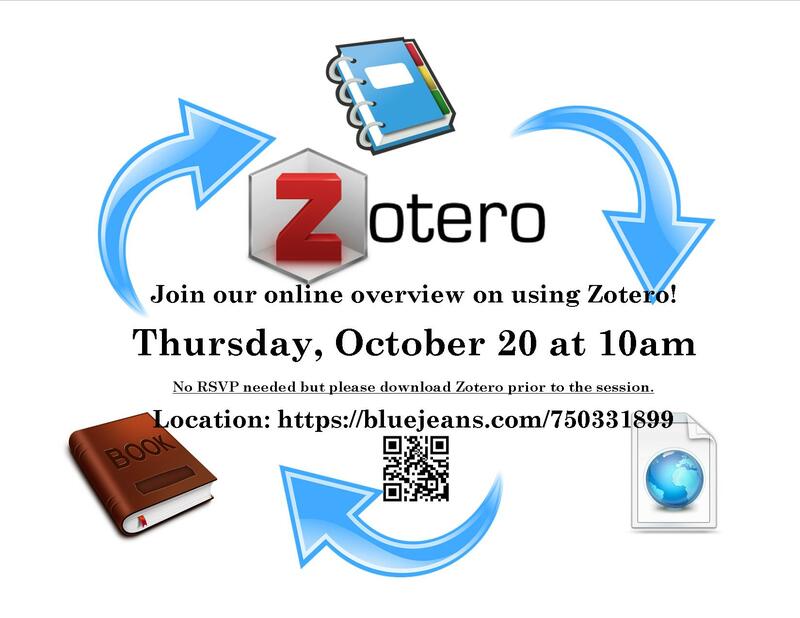 No RSVP is required, however, please have Zotero already downloaded prior to the session. This session will be recorded and posted a few days after the event. Questions? Please email us at lib-systems@fuller.edu!